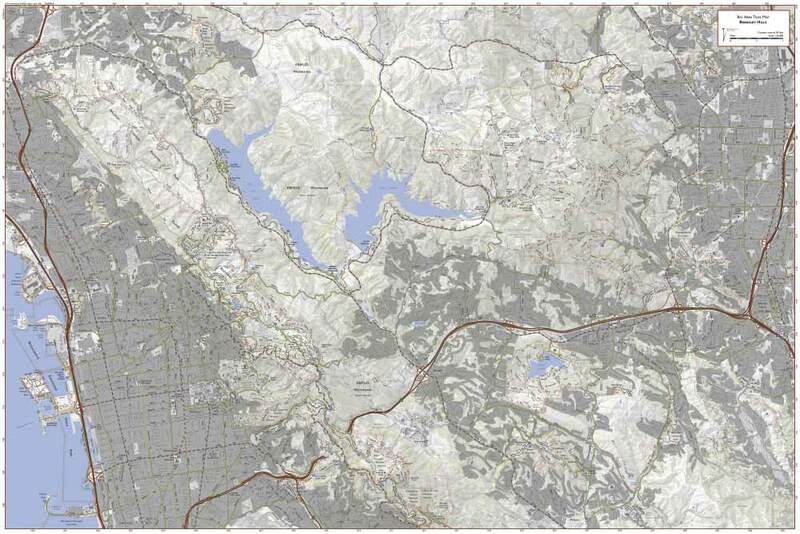 This trail map covers the northern section of the East Bay hills. 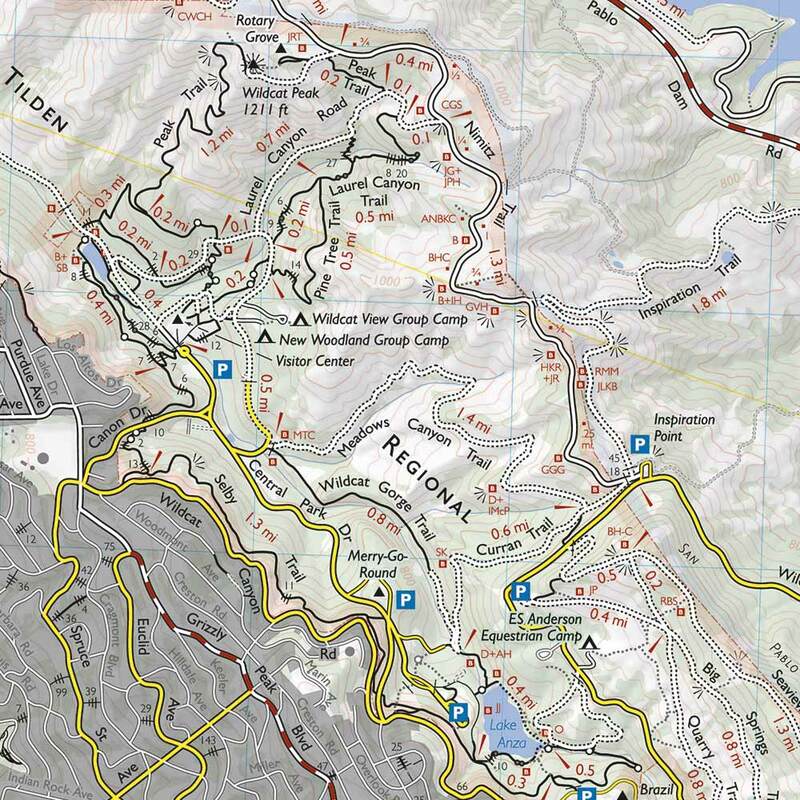 It’s currently the only comprehensive trail map of this region. 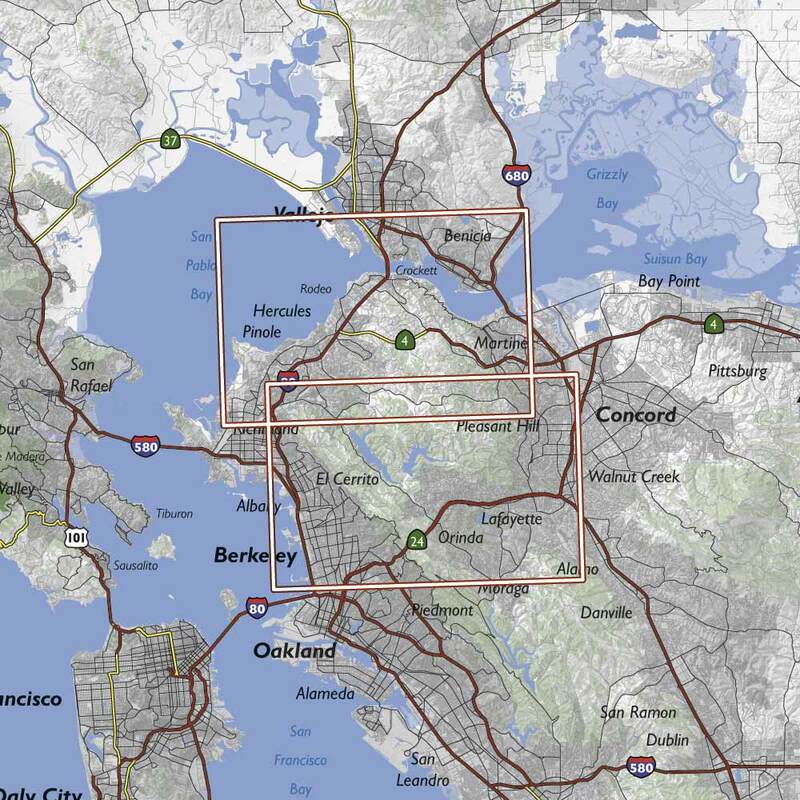 One side includes Tilden and Wildcat Regional Parks, San Pablo and Briones Reservoir, and Briones Regional Park. 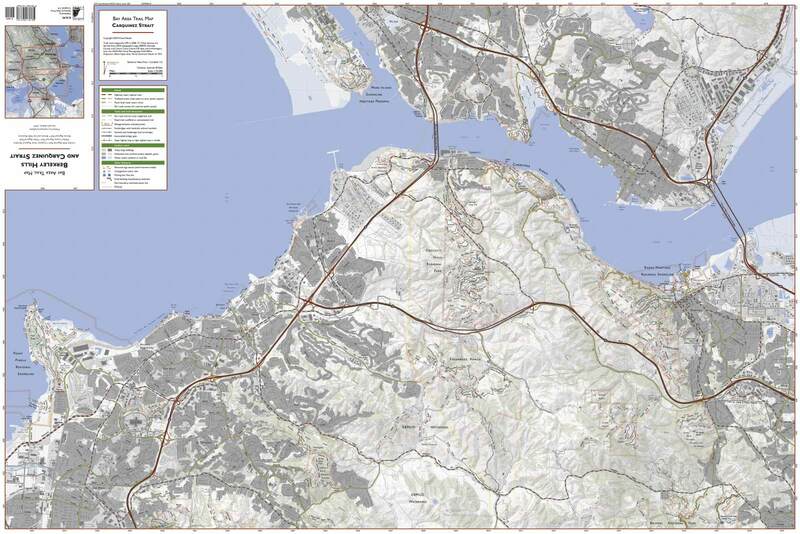 The other side has the Carquinez Strait area, including Crockett Hills Regional Park, Carquinez Strait Regional Park, the Muir Heritage Land Trust properties, and the northern EBMUD watershed.